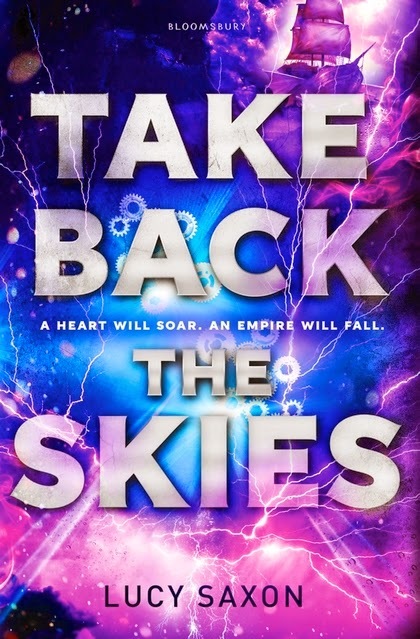 Lucy Saxon is 19, and her first book in the series, "Take Back The Skies," was released a few weeks ago. I had the pleasure of meeting her and interviewing her last week! She is so lovely, and very interesting and inspiring. She had written the book when she was 16, and at the age of 17, Bloomsbury took it on. "Catherine Hunter is the daughter of a senior government official on the island of Anglya. She's one of the privileged - she has luxurious clothes, plenty to eat, and is protected from the Collections which have ravaged families throughout the land. But Catherine longs to escape the confines of her life, before her dad can marry her off to a government brat and trap her forever. So Catherine becomes Cat, pretends to be a kid escaping the Collections, and stows away on the skyship Stormdancer. 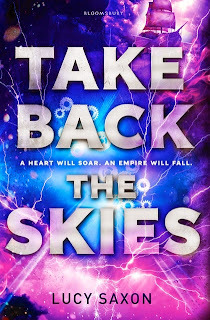 As they leave Anglya behind and brave the storms that fill the skies around the islands of Tellus, Cat's world becomes more turbulent than she could ever have imagined, and dangerous secrets unravel her old life once and for all..."
Q. The writing is beautiful and rich in content: is this a "gift" or did you learn it? A. No, I practiced and worked with my writing. I was always developing, learning and progressing with my work. Q. What are your favourite books? A. All of the Harry Potter books (I couldn't pick just one of them) The Fault in our Stars, Mortal Instruments Series and the Throne of Glass series. A. My favourite authors are J.K.Rowling, John Green; he is a part of an online community, also Cassandra Clare and Samantha Shannon. Q. Who is your favourite book character? A. My favourite book character would be Luna Lovegod in the Harry Potter series. Q. What book do you wish you had wrote? A. I wish I had written the Throne of Glass. A. When I was twelve years old I got ME (chronic fatigue syndrome) so I had lots of time of school at home and to stop boredom plus I loved writing. Q. Have you any tips about writing for young people who are aspiring to be young authors? A. I would have to say keep at it and don't change it as you go, keep going to the end and then re-work your writing. Q. Did you ever write any fan fiction? A. Yes I wrote Harry Potter fan fiction as I was and still am a giant nerd. It was easier to work with other authors characters and words. Q. What is it like to be published at such a young age? A. To be honest I don't feel like and adult and I feel like I should still be in school. I am still reading the genre that I am writing. 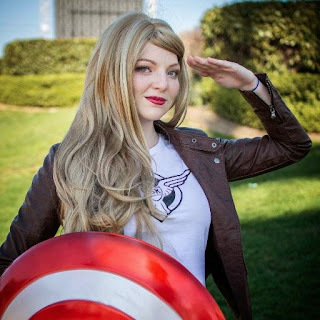 A. I enjoy Cosplay, you dress as fictional characters and go to conventions. It takes up a lot of time to make all of the costumes. Q. How did your love of writing start? A. When I was younger I listened to my brother being read to and when I was old enough to read myself I used to love losing myself in a book. ﻿Q. What were your favourite subjects in school? A. Surprisingly my favourite subjects were maths and physics. Q. Have you met any of your favourite authors? A. I met John and Hank Green at a signing in London in January, it was good fun. Q. Do you prefer to read a kindle or a book? A. I prefer paper books but I always read on my kindle when I am on holiday. Q. Did you let your family read your book before it was published? A. I didn't let them read, family are too close. Also strangers will be objective, it's very exposing to be judged. Q. What came first the title or the plot? A. The title came at the end, the plot came first.